This is a male Magpie Lark. It’s DNA shows it is not a magpie or a lark but a monarch flycatcher. Like many Australian birds it was originally named using an English ornithologist’s vocabulary. Today its name depends on which state you are in. 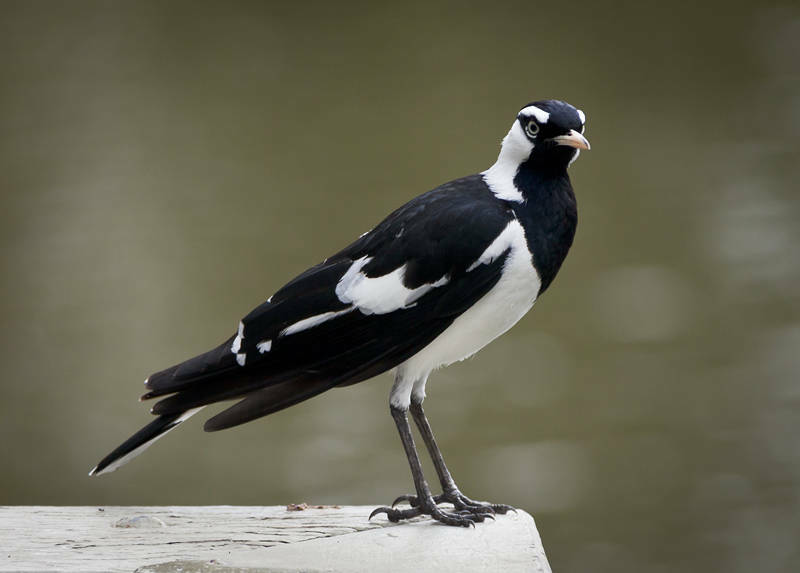 It is known as a Peewee in New South Wales and Queensland, a Mudlark in Victoria and Western Australia, and a Murray Magpie in South Australia. I guess the black & white feathers reminded them of a magpie. There are many species especially in Australia whose DNA is revealing them to be misnamed.